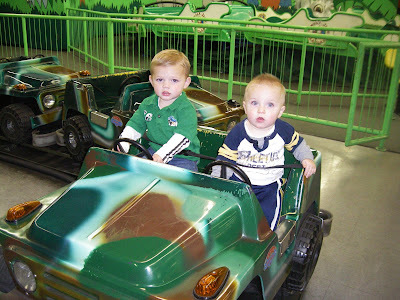 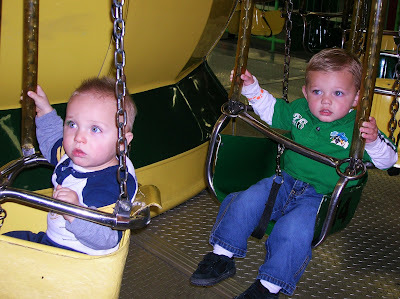 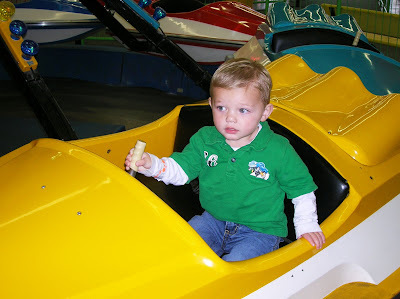 For Terrific Tuesday this week we went to Jungle Jim's Playland. 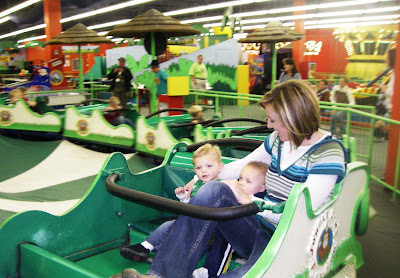 It's a mini indoor amusement park for kids with all sorts of fun rides, games, and activities. 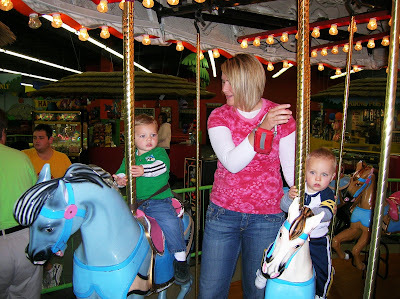 I think the price for kids was $5.50 per child and us adults were free. 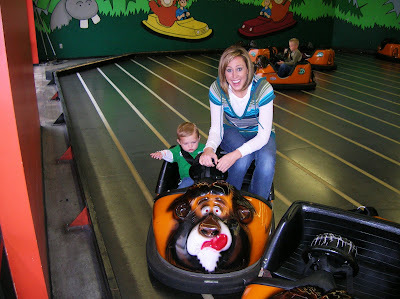 It was so much fun and definitely worth the price.